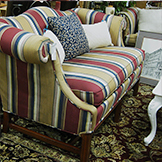 Nashville's premier home consignment store - Wallpaper and Designer Home Consignments. 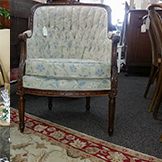 ...consignment furniture and wallpaper at amazing prices! ...prices decrease by 10% every 30 days on all consigments! 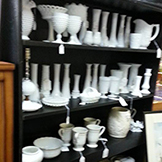 Wallpaper & Home Decor and Consignments is focused on providing high quality "like new" furniture and home décor accessories that will make your home a showcase. 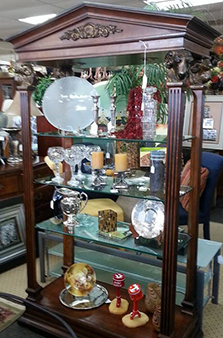 Our consignment shop is dedicated to displaying pieces that are gently used that can be a great asset to your home décor. 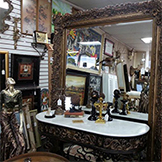 Come and see how we change the perceptions of consignment shop furniture shopping by offering astonishingly affordable prices on items from unique to designer to classic to modern pieces! We are located in Nashville, TN and are proud to offer you a sneak peak of our home décor accessories and used furniture listed on our website. 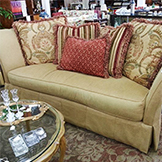 Our consignment products include home furnishing items, drapes, accessories, art work, etc. We don't sell appliances at the present time. 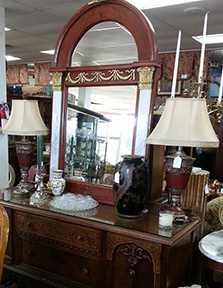 We provide local pick up for consignment items and delivery of your items for a charge of $49.00 for delivery (some restrictions apply); and $79.00 for standard pickup (some restrictions apply). 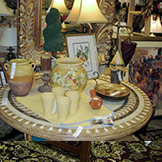 Our sellers don't pay until the item sells - no out of pocket expense for the seller. We will help set pricing if you wish or you can trust our in house appraiser to take care of that for you. Unlike other stores we do a 50-50 split - 50% for the store and 50% for the client, after all isn't it your merchandise we are selling any way. Wondering when you'll get paid? We mail out checks to our consignors on the 10th of each month for items sold by the 30th/31st of the previous month over $50.00. Can you believe some stores only pay out quarterly, after all isn't it your money.... click here for more info. OPEN 7-DAYS A WEEK Monday-Saturday 10:00-5:00 and Sunday 12:00-5:00.